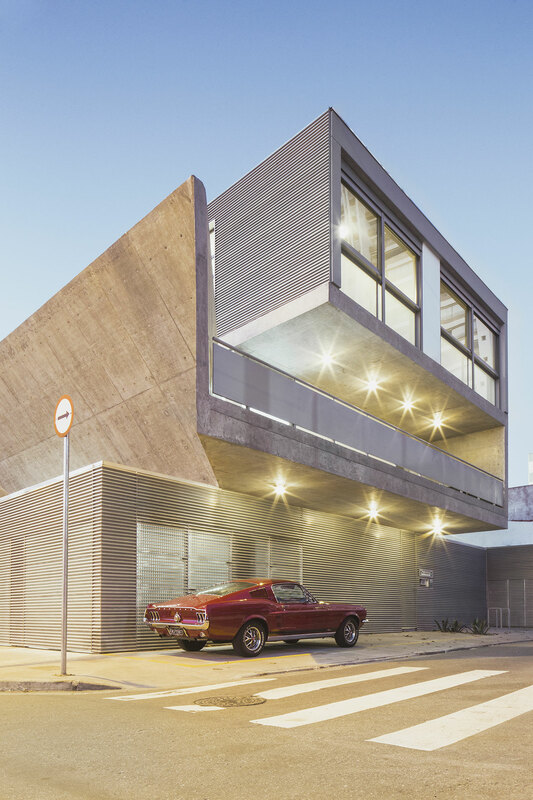 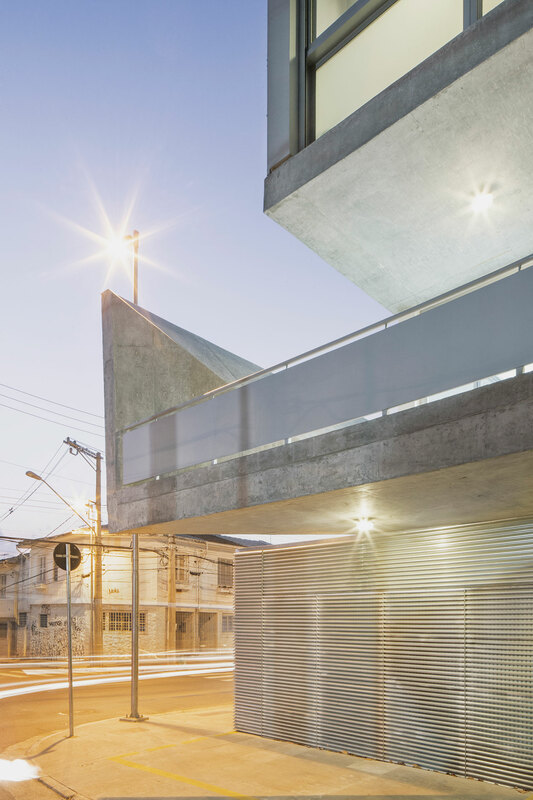 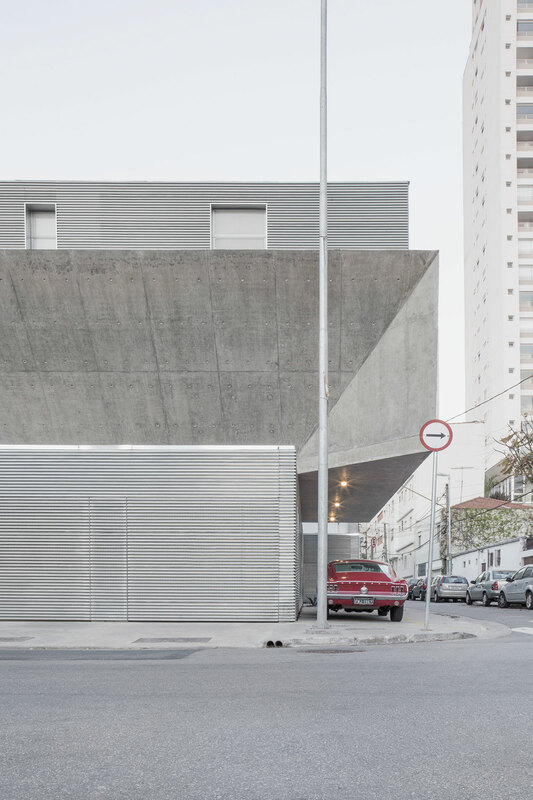 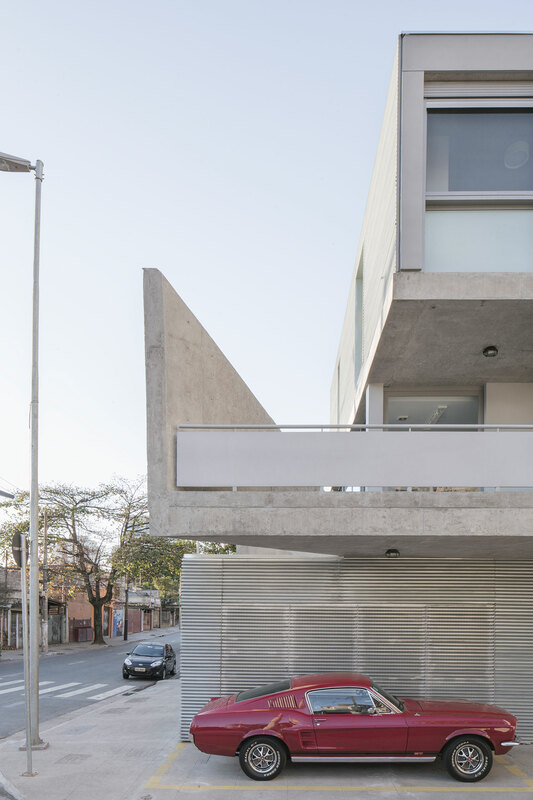 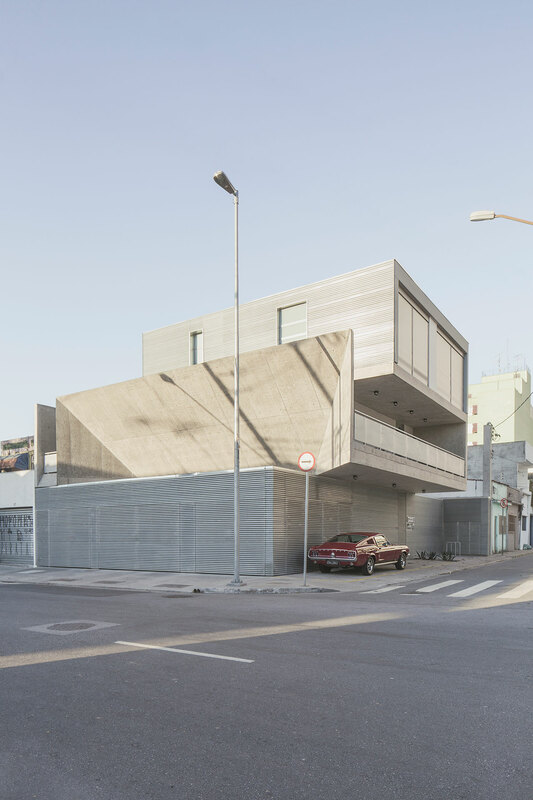 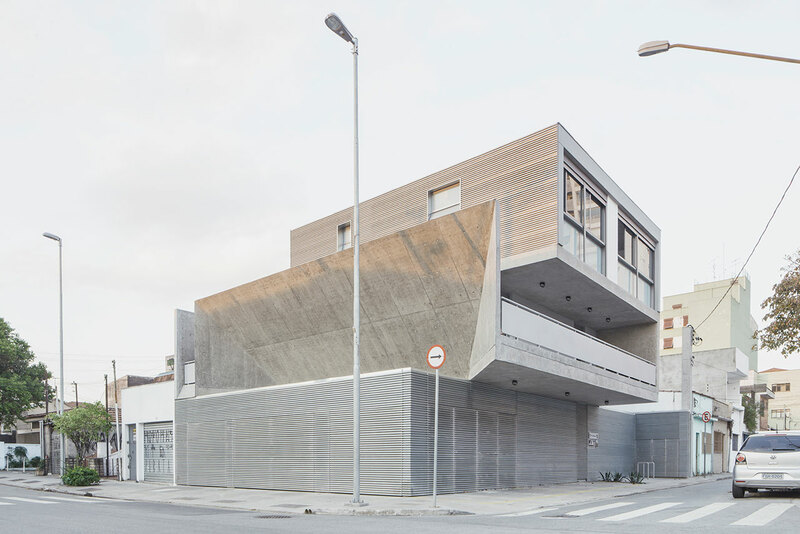 Sitting boldly on a street corner in the Pinheiros neighbourhood of São Paulo, Brazil, local architects PAX.ARQ have inserted a unique multi-purpose concrete and aluminium structure, providing an industrial, contemporary sculptural addition to a developing landscape that was once home to a dense pine forest. 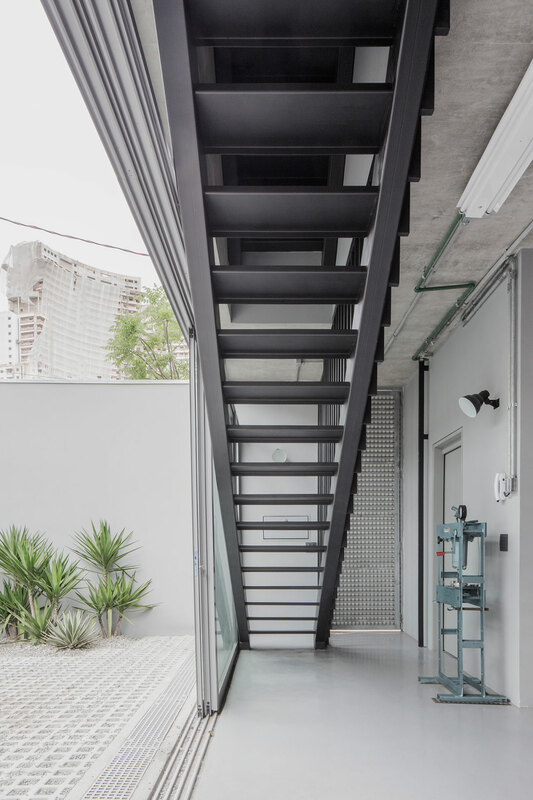 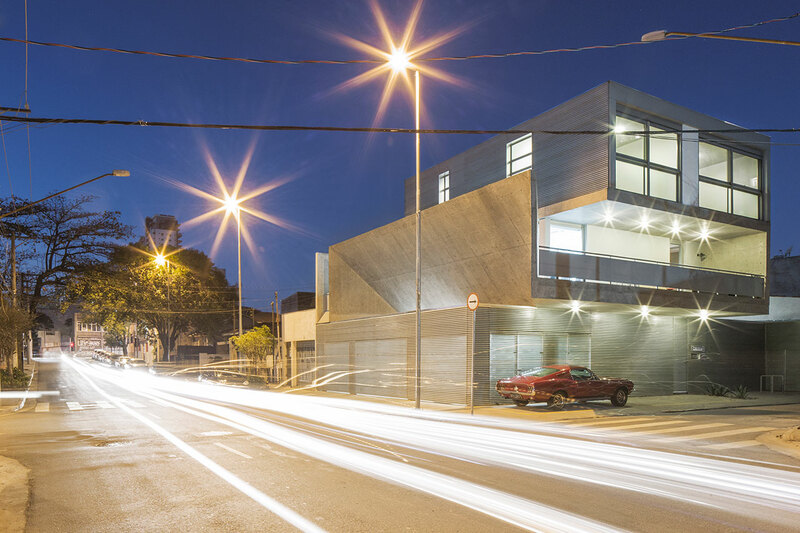 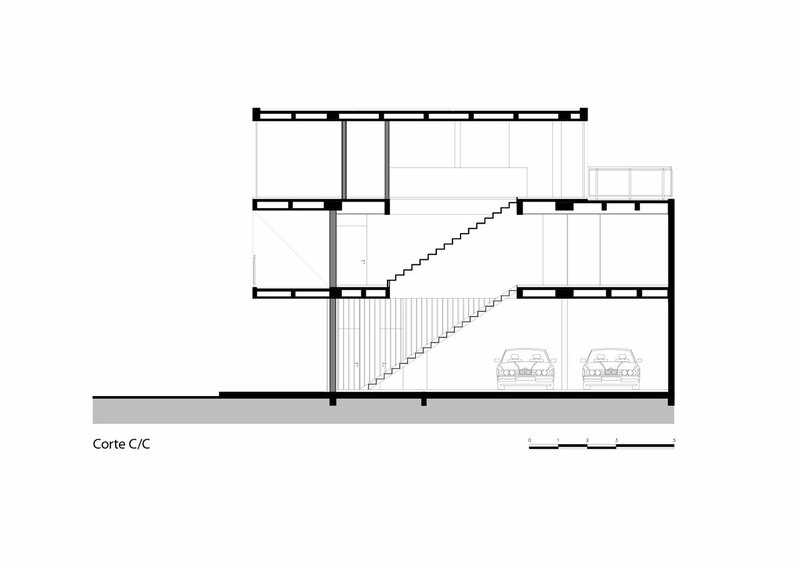 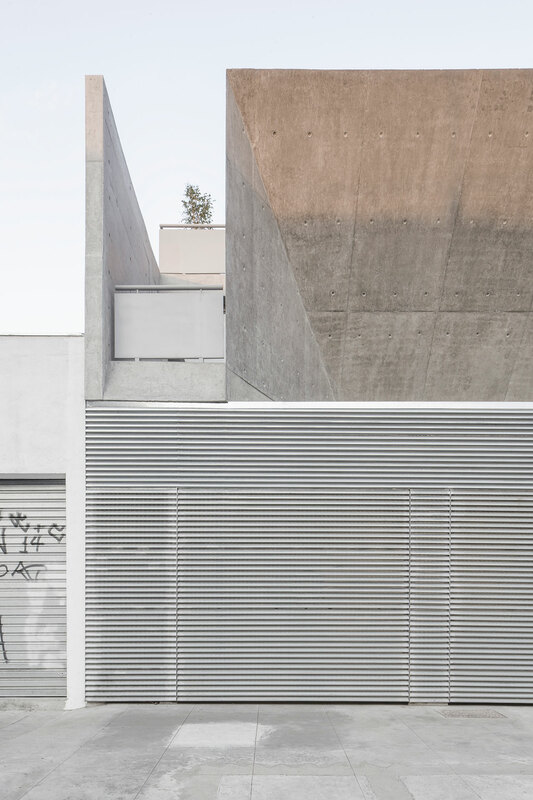 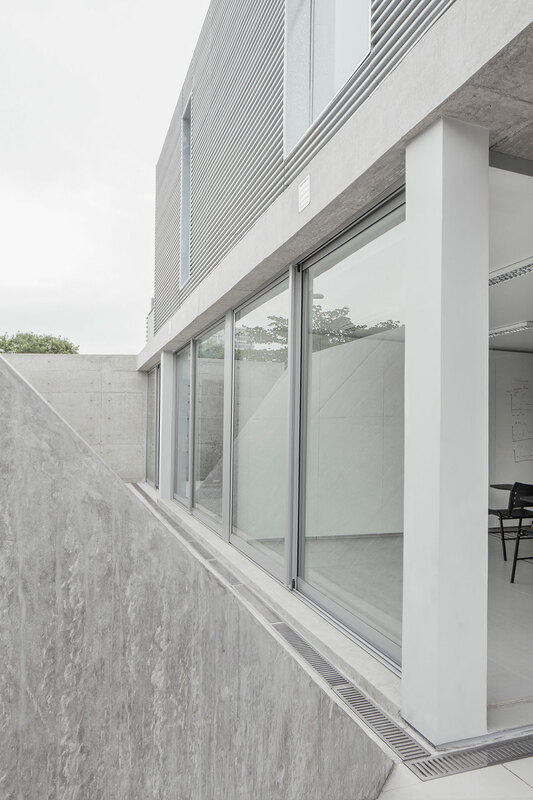 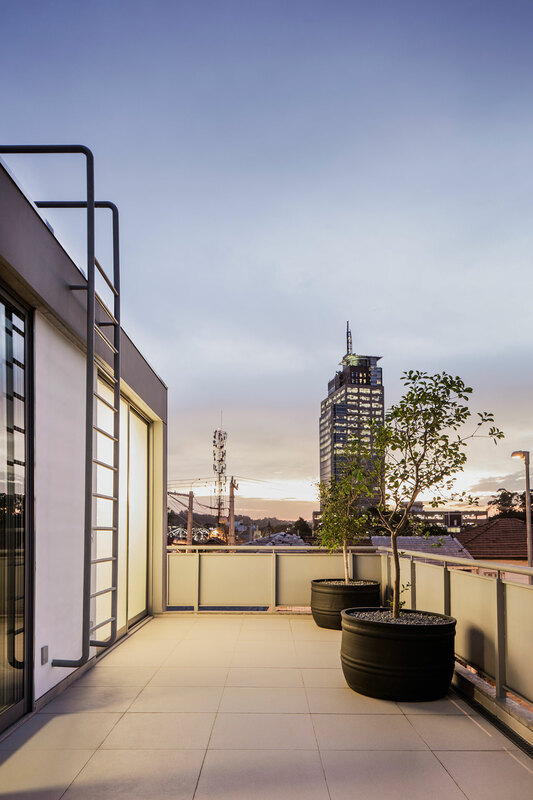 Completed in 2015, this Workshop House project or Tecnomec, rests on a two-hundred-and-sixty-square-metre site consisting of three levels: a ground floor high-performance mechanical workshop, first floor training spaces with offices and bathrooms, and a top floor two-bedroom residence with terrace for the owner/client. 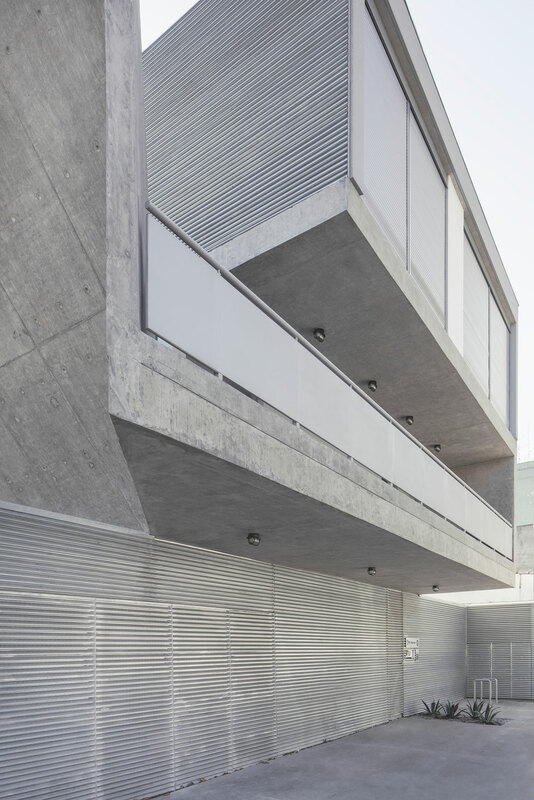 Precast concrete, slatted and louvred natural aluminium façade panels and sheet aluminium panelled balustrades deliver a monochrome structure, the first floor of which, due to its overhanging structure, also provides a street-level sheltered port for both cars and pedestrians. 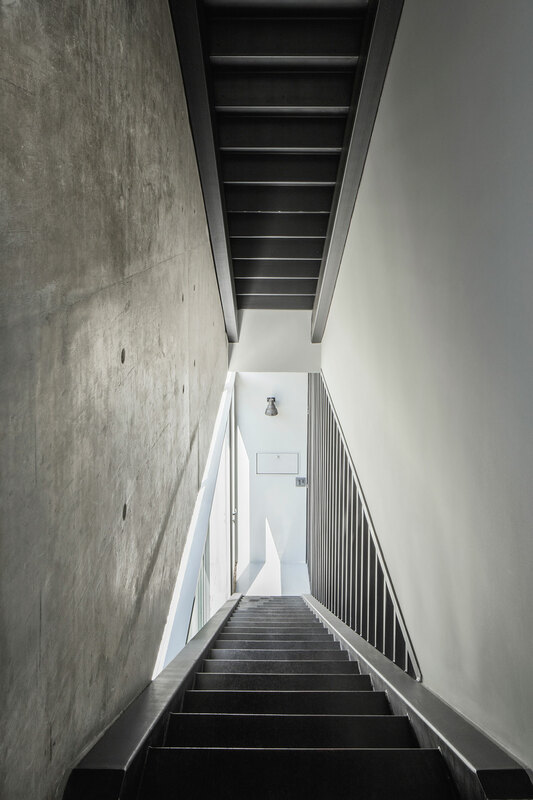 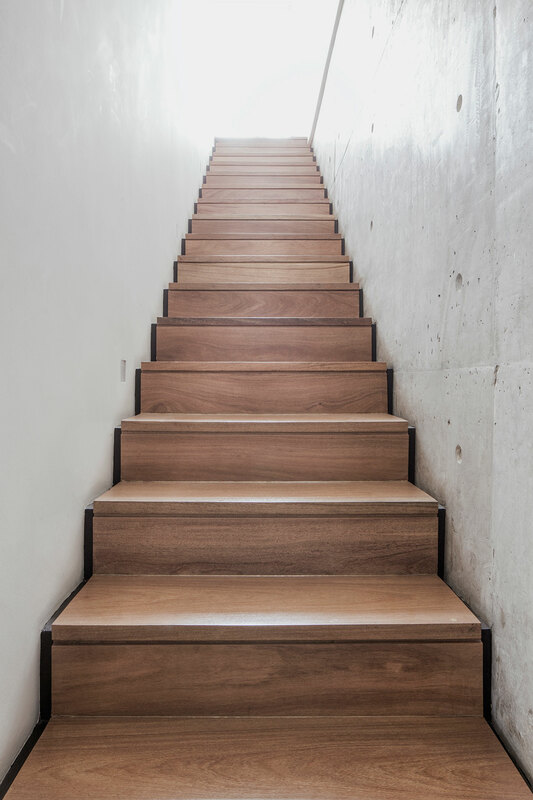 Internally, a minimal approach is continued with a refined selection of finishes such as light grey floor tiles and simple utilitarian light fixtures, whilst a touch of warmth is evident upon entering the residential zone with the timber stair tread. 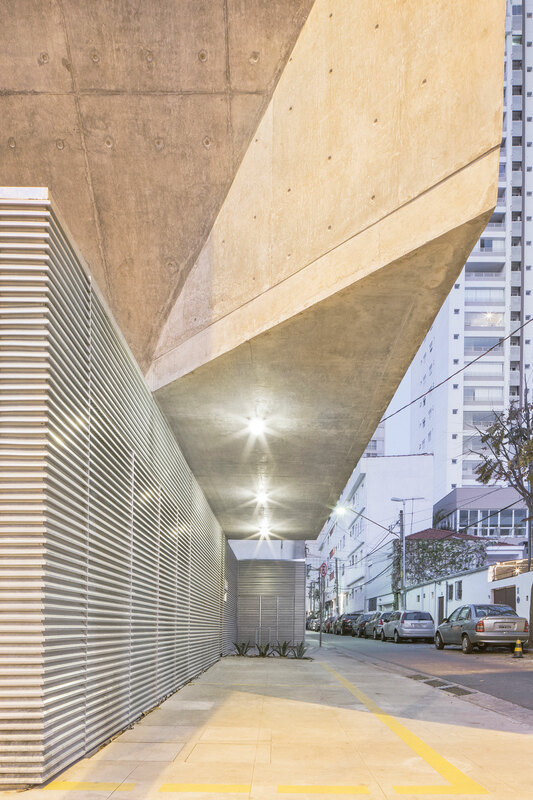 "The composition draws back voluntarily from the site’s limits and frees up the street corner in a gentle manner, facilitating the materialization of an urban space for gatherings and encounters." 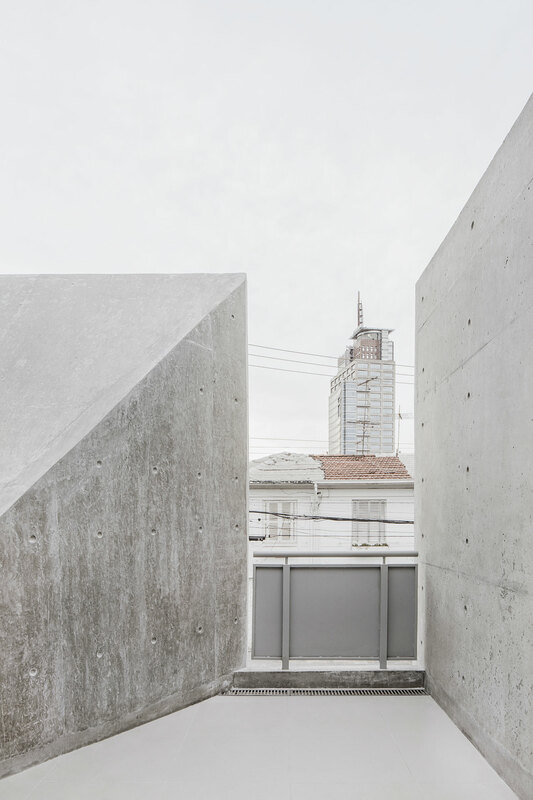 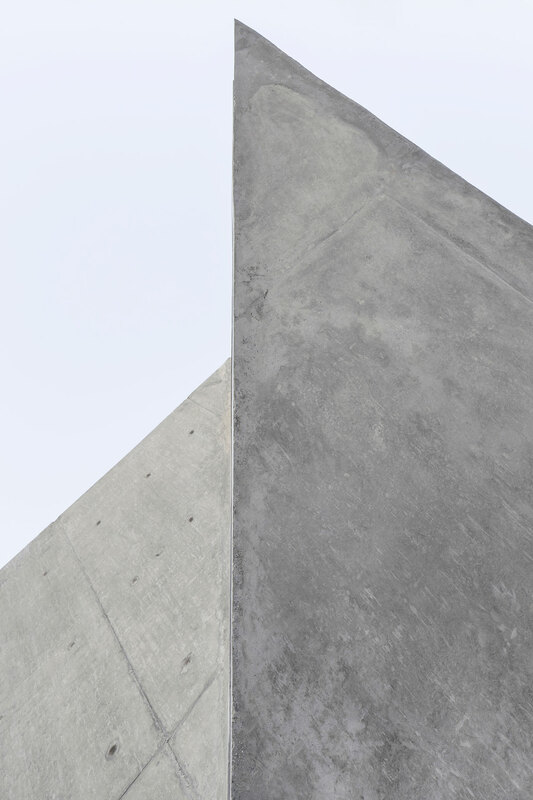 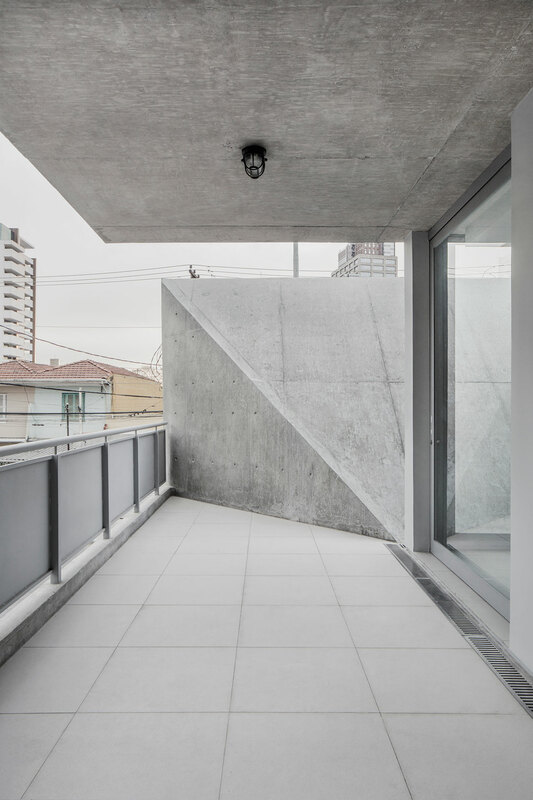 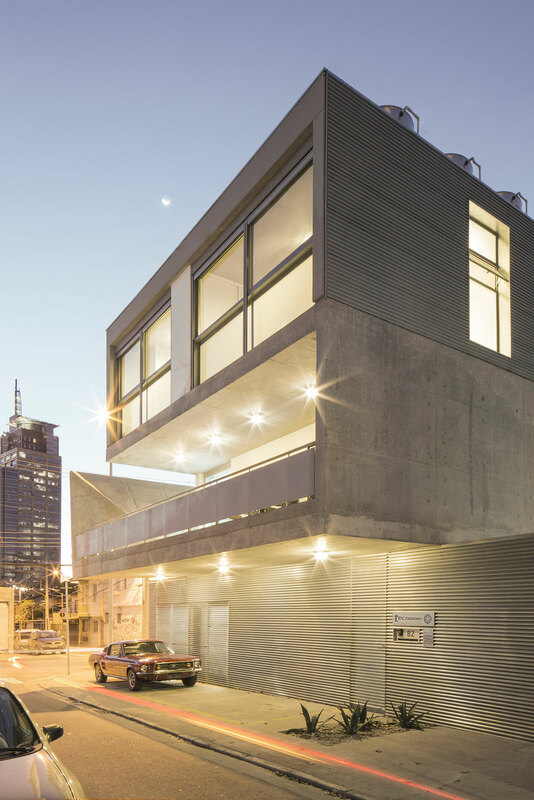 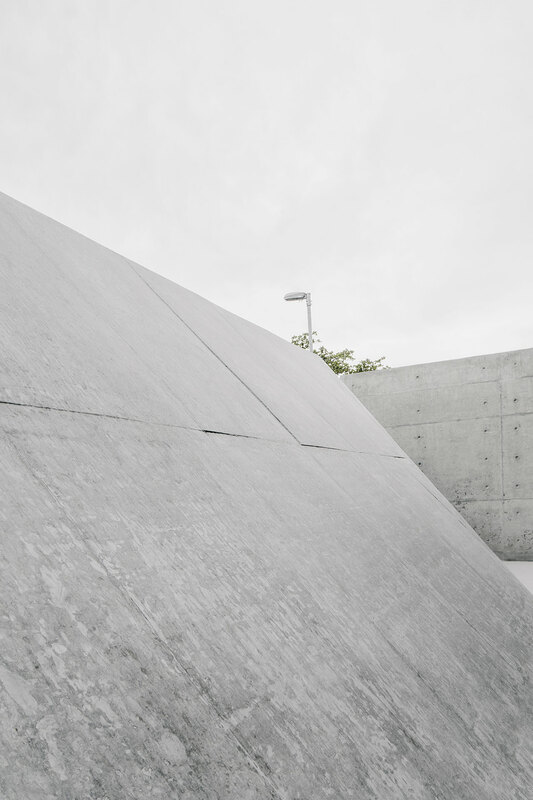 The bold, folded precast concrete slab plays a key role to the program and functionality of the structure as it simultaneously provided visual privacy from the street whilst also acting as an acoustic barrier from the workshop to the upper floors. 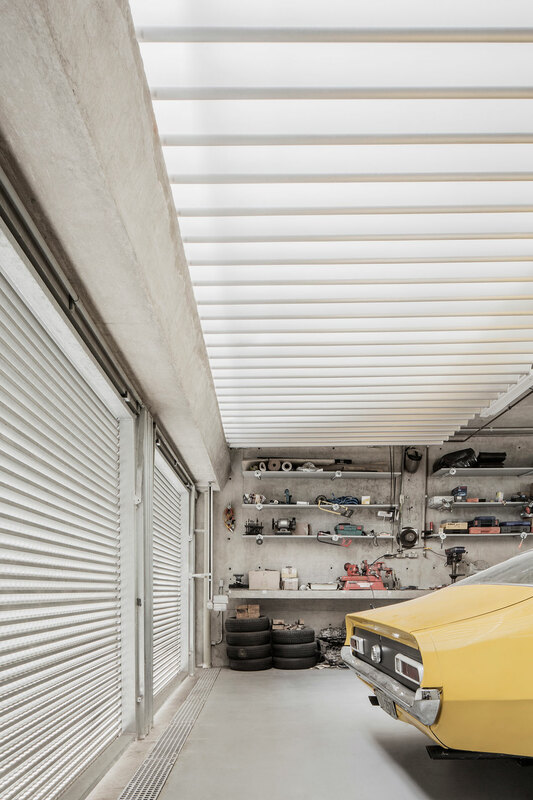 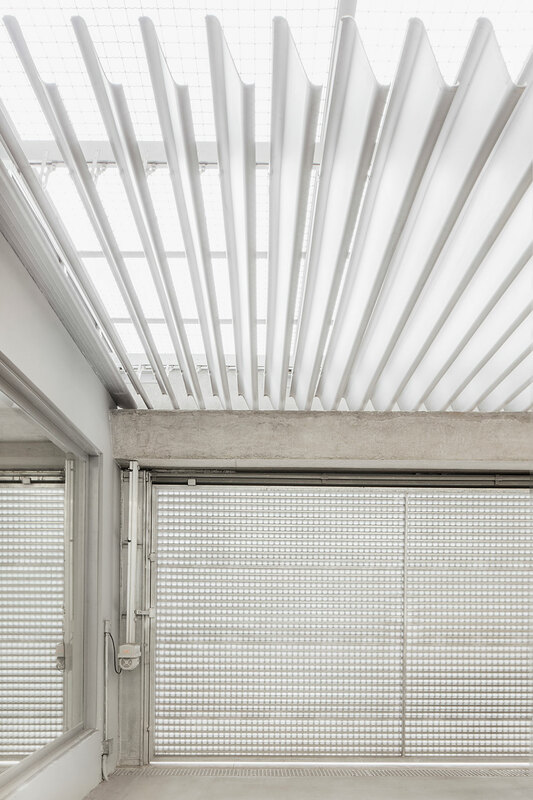 Furthermore, it effectively “lifts the lid” off the ground floor workshop thus allowing it to be flooded with natural daylight, which with the help of an operable louvred ceiling system, allows for natural ventilation to flow through the building. 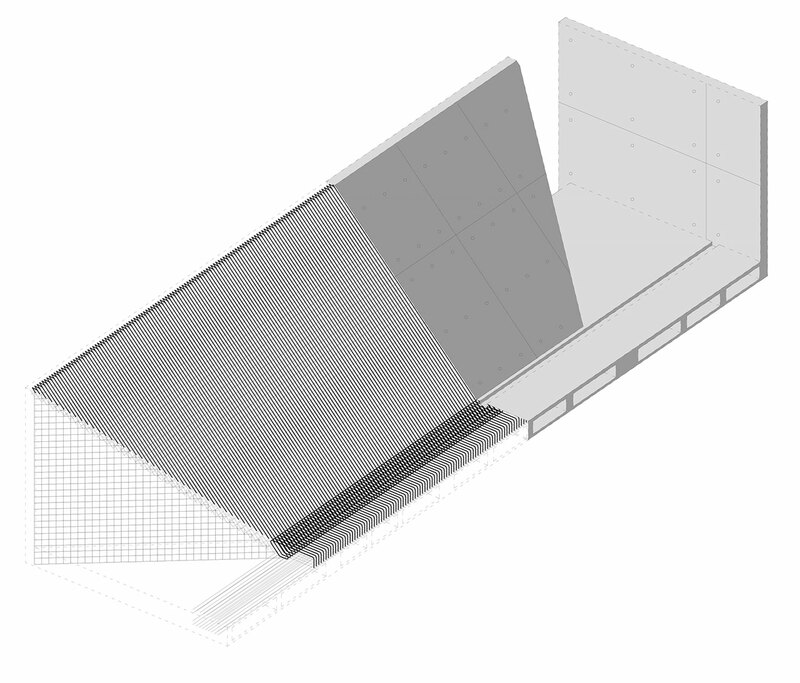 The concrete form's inclining angle also assists with funnelling rain water, which is then stored for reuse. 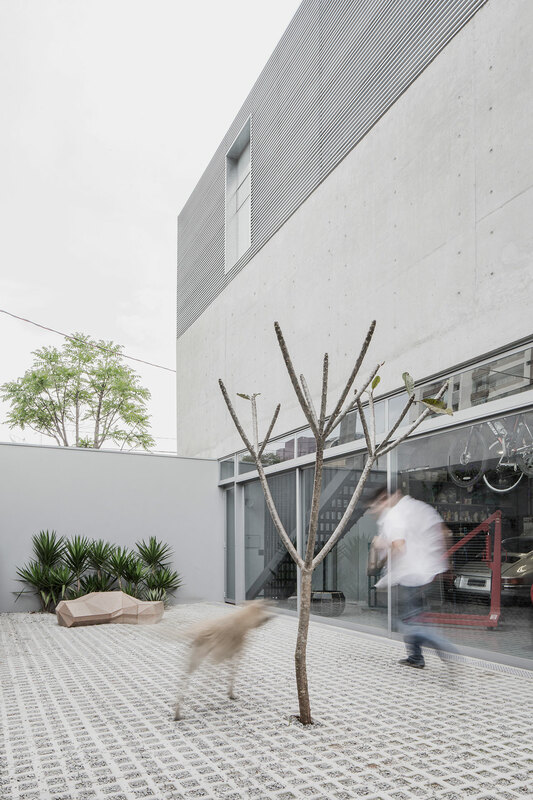 "All the activities in the house are performed by one and only inhabitant, who breaks down his daily schedule along the different spaces, each one of them with its particular characteristics." 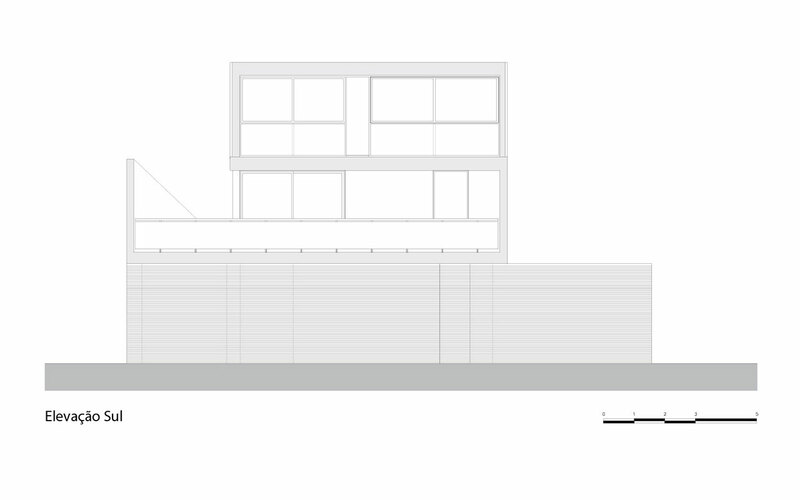 Isometric Anchorage Gable © PAX.ARQ.